It’s time to put down your laptop, turn off the TV and get outside! Spending time in nature not only instills a sense of adventure and genuine appreciation for the great outdoors; it’s also essential to overall health and development. And today, it’s clear that kids are missing out on this vital connection to the natural world. According to a study published by the national Kaiser Family Foundation, the average kid spends more than seven hours each day in front of an electronic screen, when they should be experiencing the world around us. In an effort to encourage families to visit, learn and explore our beautifully preserved National Parks, President Obama has created the “Every Kid in a Park” plan. In the lead up to the 100th birthday of the National Park Service in 2016, the new initiative will give all 4th graders and their families free access to America’s National Parks and other federal lands. As an integral part of the initiative, The National Park Foundation will re-launch their “Ticket To Ride” program, which will award transportation grants to kids at schools with the most need. That way, kids and their families can more easily visit the parks, public lands and waters. There are currently 59 national parks dotted across the diverse U.S. terrain, but the following are perhaps the most admired—and for good reason! 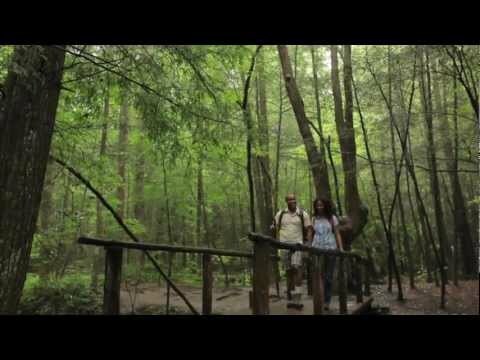 Celebrated as America’s most visited national park, this wooded playground is the perfect place for adventure, learning, and fun! Enjoy roughly 72 miles of the famed Appalachian Trail or drive or hike to the top of Clingmans Dome to absorb 360-degree views of the Smokies. On a clear day, visibility is up to 100 miles. America’s first national park, home of Old Faithful and much of the world’s geysers, as well as a great diversity of activities, is a mountain wonderland of outdoor adventure. From the more traditional activities like hiking and fishing to the more novelty tours like horseback riding and llama packing, Yellowstone has something for everyone. Nestled in the majestic Blue Ridge Mountains, this historic park offers the perfect day of exploration and fun. Explore cascading waterfalls, go bird watching, wander around in big meadows, or even drive along Skyline Drive—a scenic roadway that offers some of the most breathtaking views as you meander through the park. At first glance, Florida’s everglades may not appear to have the typical grandeur we’ve come to expect from a national park, but there’s more that meets the eye. The area actually contains several different ecosystems and plenty of ways to explore them firsthand. Enjoy unique experiences like geocaching, an outdoor treasure hunt where you locate hidden containters using GPS-enabled devices, and slough slogging, off-trail hiking. Just watch out for alligators! With its overwhelming size and its intricate and colorful landscape, the Grand Canyon is perhaps the most powerfully inspiring of all the national parks. And the list of things to do is almost as expansive as the park itself. Visitors can explore the delicately carved fissure via river trips, helicopter rides, backcountry hiking, mule rides and more. The beauty of a trip to the Grand Canyon is that it can be as intensive or relaxed as you like—and it’ll still be worth every second of your time.